 The Kalamazoo Rugby Football Club prides itself in comradery, teamwork and dedication. Through the years the team has lost and gained many players. At the same time the club has never lost its roots or love for the game. As a team in whole, we are fired up and ready to play quality rugby, although, that doesnt mean we don't know how to have a good time. Outdoor training starts tomorrow! 6pm at Davis St. Field, every Tuesday and Thursday. See you out there! Just a reminder, our annual banquet happens tonight starting at 6pm at Boomerangs! A huge 'Thank You' goes out to all of our sponsors who have helped us. Without the help and support from them, we wouldn't be where we are today. Sign up with your email address to receive game schedules and updates. We respect your privacy and will only use your name and email for updates.